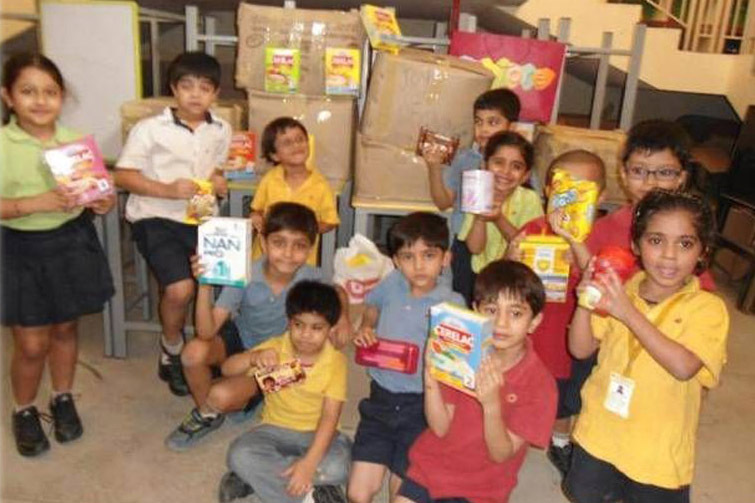 The Community Service programme is inspired by the core values of the school and is graded and structured for all classes of Junior School. The 1st of May is a special day for all the support staff in school as that day serves as a reminder to students in school of the fact that their lives are made easy in so many different ways because of all that the ‘didis’ and ‘bhaiyas’ do for them. Students across the school take it upon themselves to thank the support staff and to make them feel special through various initiatives. It was a collaborative effort along with the PSA and the various artisans and weavers. Under the guidance of parent volunteers, children were exposed to and worked on a number of Indian crafts ranging from macramé, tie and dye, Madhubani painting to weaving. The opportunity to imbibe the flavour was taken by most children who, along with their families, thronged the school grounds for an outstanding exhibition. 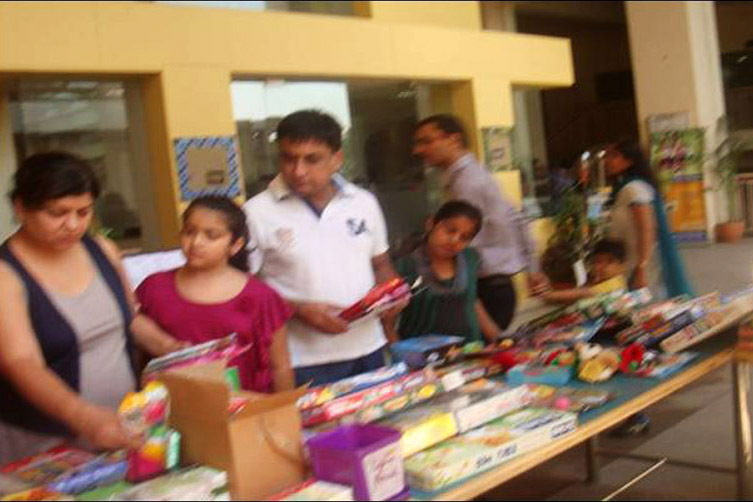 The proceeds were given to the artisans and weavers. Open Day is the day when parents have the opportunity to meet with the teachers to discuss their child’s progress in school. 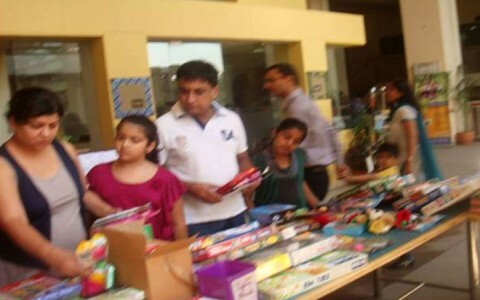 To make use of the high footfall in school on this day, parent volunteers get together in groups to put up stalls selling eatables, confectionery, lemonade etc or curios made by them from waste material so that the money collected can be contributed to NGO’s engaged in social causes. This is a sale organized, for charitable purposes, by parents of the school following a collection from the parent community of new, unused items (that may not be of use) and may have been stacked up in their homes. To help inculcate in our children, a sense of compassion towards the less fortunate, the school encourages children to extend a helping hand to those in need through collection drives for books, toys, woollens, mattresses, durries and blankets for those in need. As s a school community, we also extend support to those distress, be it the victims of the Sikkim earthquake or our support staff.